The researchers were interested in the effect of the U.S. Border Patrol's Consequence Delivery System program. Rolled out between 2008 and 2012, the CDS set up three different levels of sanctions for the people that USBP apprehends: precluding the detained person from acquiring a visa in the five years following detention, repatriating the person at a location far away from where they entered (to stymie efforts to reconnect with smugglers), and criminal prosecution. Because of how the CDS was rolled out—piecemeal across the various border patrol sectors over four years—the paper's authors were able to take advantage of pseudo-random variations in its application to ask: to what extent did the CDS's consequences stop people from trying to reenter once they had been apprehended? In other words: to what extent does punishment deter illegal immigrants from attempting to cross the border again? 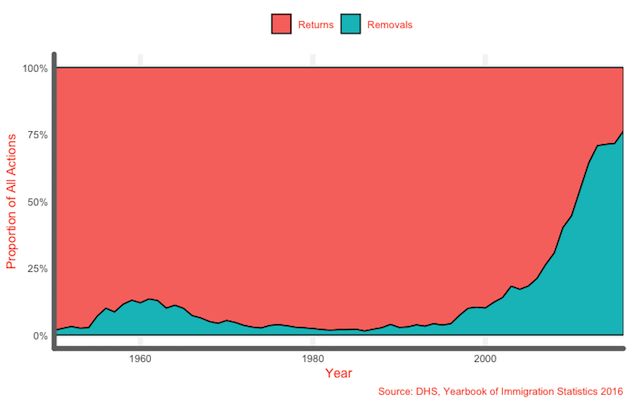 For most of the past half-century, a person apprehended at the southwestern border by the U.S. Border Patrol has simply been summarily "returned," i.e. dropped off at the border and sent back in to Mexico. The majority of apprehended people did not face any administrative sanctions, nor would they expect to go before a judge or spend time in a jail cell. The USBP preferred this approach given the sheer volume of people they were responsible for dealing with every day. All of this of course is tied to the Trump administration's immigration policy. Attorney General Jeff Sessions's instruction to southwestern-border U.S. Attorneys to prosecute all border crossers still stands, although its application to families remains in legal limbo. 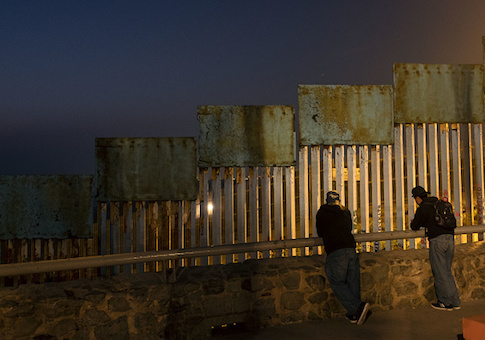 Prosecution initially showed lackluster results, but the administration pointed to month-on-month declines in border apprehensions in June and July as evidence of the program's success.